It is a silly thing to do, having to choose your favorite local rainforest. Yet for residents and visitors to the Olympic Peninsula, it is a common struggle. Picking between the Hoh, the Queets, the Bogachiel and the Quinault is like choosing a favorite child. But when deciding where to go on a weekend adventure, we find ourselves doing just that. Many love the classic mosses of the Hoh or the seclusion of the Queets and the Bogachiel. 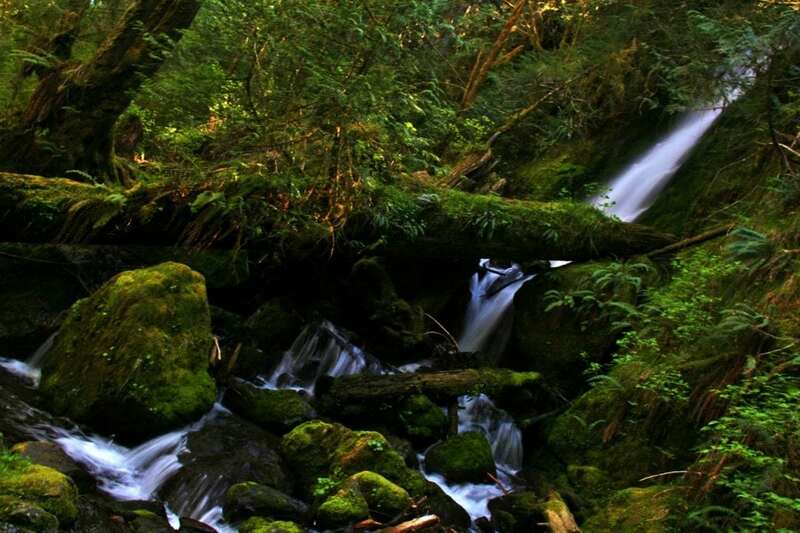 For most residents of Grays Harbor, the one true must-experience rainforest is found in the Quinault rainforest. While the others are breathtakingly beautiful, the Quinault combines rugged, wilderness beauty with a breathtaking lodge, a myriad of activities and some of the best hiking, kayaking and exploring in the world. Sure, it averages nearly 11 feet of rain a year, but that rain makes it beautiful, clean and ridiculously green. The Quinault Rainforest is a wilderness playground of stunning sights and the perfect destination for your weekend adventure. The Lake Quinault Lodge offers a historic hotel with modern amenities. Photo credit: US Forest Service. One of the first things you see as you leave Highway 101 and head along the South Shore Drive of Lake Quinault is the incredibly gorgeous architectural wonder that is the Lake Quinault Lodge. 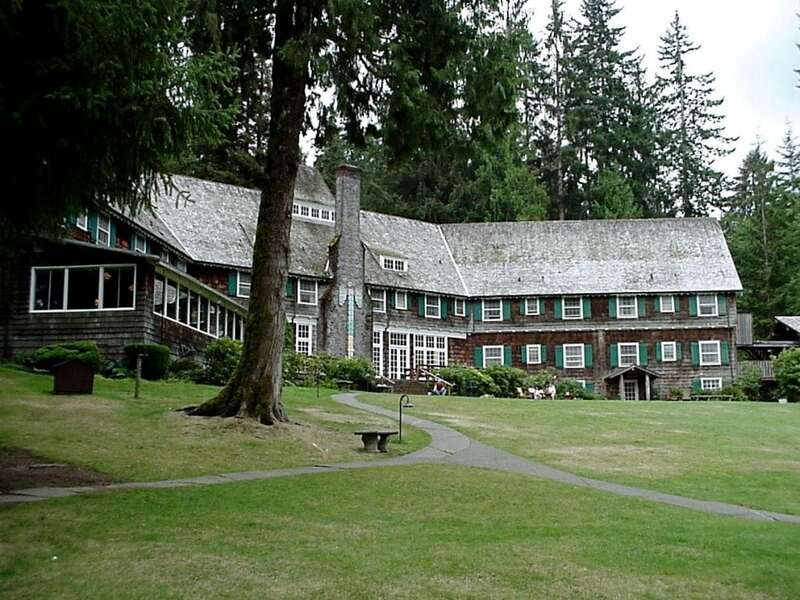 Originally built in 1926, in the same style as the Old Faithful Inn at Yellowstone, the two story, V-shaped structure is rumored to be the location where President Franklin Delano Roosevelt decided to support the creation of Olympic National Park. Inside, the wooden, rustic interior of the lodge is full of historical pictures and information, a dining room, a gift shop and a lobby area complete with a giant fireplace, views of the lake, a coffee shop, bar and even wifi. While the inside of the lodge is magnificent, exiting the building to the back will leave you in awe at the picturesque landscape. Manicured yards, a stunning view of the lake, lawn chairs and even an updated rain gauge await. Historic hotel rooms, newer suites and cabins are all offered for guests looking to spend a night or two enjoying the history and beauty. 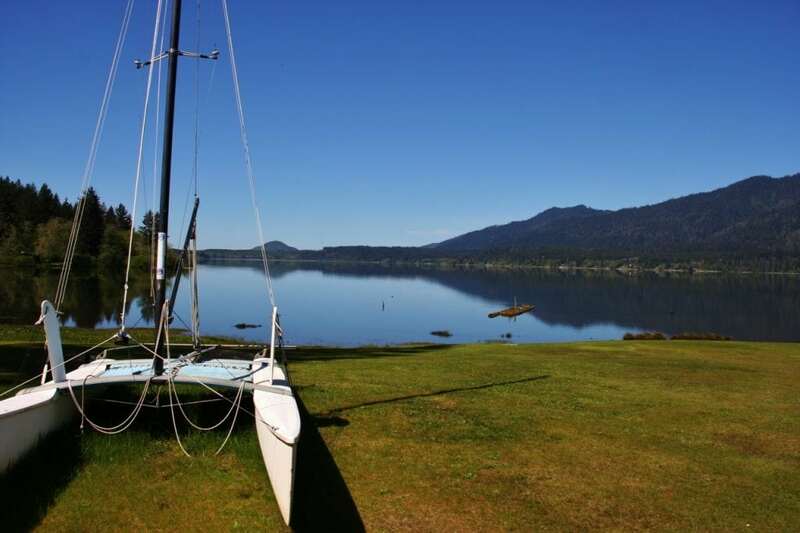 At 190 feet deep, 3.8 miles long and 2 miles wide, Lake Quinault is one of five large lakes on the Olympic Peninsula. Carved by glaciers, the Quinault valley’s pristine lake is home to salmon, eagles, blue heron, bobcats and bears. The lake can be seen from numerous locations but one of the best, the July Creek area in Olympic National Park, is found along the North Shore Road. Here, short trails lead to lake overlooks and beach access, letting you wander through giant trees before reaching the shimmering shores of the lake. Across the way, you’ll see the backside of the Lake Quinault Lodge with Colonel Bob Peak looming large above it. For the best Quinault River access, you can drive down to Graves Creek and explore by the campground or take the loop drive and stop on either side of the bridge that spans the river. On the north side of the bridge, a short scramble down a rocky embankment gives you access to the river, where you can walk on smoothed rocks and take in the sights. Some may say this is hyperbole, but it is true: the Quinault region of the Olympic Peninsula is one of the most underrated hiking destinations in America. 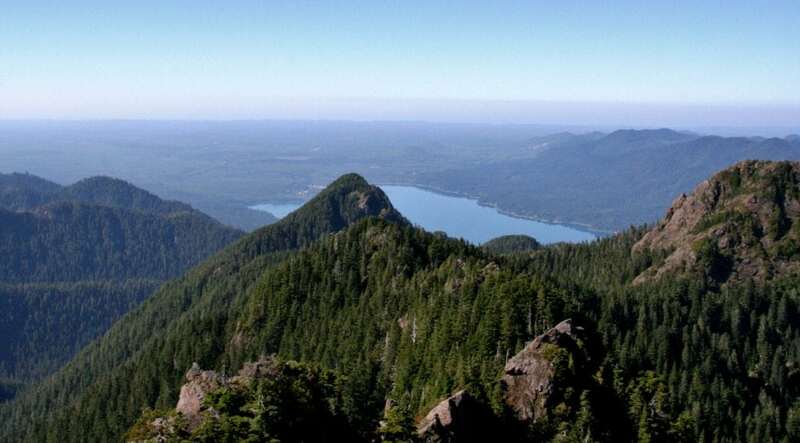 Offering remote peaks to stand on top of, paths leading to breathtaking waterfalls, trails weaving through enormous old growth forests and some of the best backcountry adventures, hiking in the Quinault is a life changing experience. 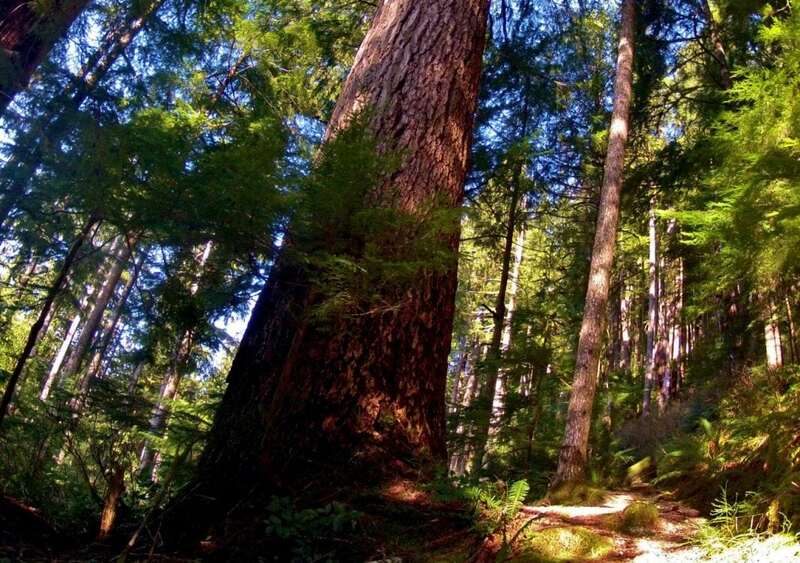 Your best introduction to hiking in the Quinault Rainforest can be found along the Maple Glade Trail on the North Shore Road or at the Quinault Rainforest Nature Trail system near the Lake Quinault Lodge. Both will leave you in awe at the stunning forests, gorgeous water features and scenic wonders. Those hoping for a little bit more can head out to Graves Creek and walk the 5-mile round trip trek to Pony Bridge, a wooden bridge spanning a box canyon over the Quinault River. Others can head to Fletcher Canyon for a remote wilderness experience, or head up and hike to the summit of Colonel Bob Peak, where a jaw-dropping panorama awaits. Backpackers can head to the Enchanted Valley for waterfalls and rainforest wonders, or up the North Fork to the Skyline Trail, where high alpine bliss can be found. For those not into hiking and exploring the rainforest by foot, the paved and dirt roads around the Quinault area of Olympic are scenic, beautiful and full of stunning must-stop destinations. From visiting the World’s Largest Spruce Tree to exploring Merriman Falls, enjoying the elk near the Kestner Cabin to picnicking at July Creek, there are no wrong choices while driving around Quinault. Watch for animals, enjoy moss draped trees, see towering forests and enjoy the babbling brooks and numerous roadside waterfalls found along this short, 34-mile loop drive. Whether you stay at the Lodge, hike into the backcountry or visit for the day, a trip to the unique Quinault rainforest will leave you refreshed and renewed. And while the forest boasts world-record sized trees, the best record you’ll log is how peaceful and inspired you feel when you leave.